Nourrit, polit et empêche le bois de s'assécherNe contient pas de siliconeFait disparaître les traces et les rayuresRésiste aux traces de doigt et d'humiditéFort pouvoir lustrant et résistant. Nous préférons vous prévenir et être honnêtes. Nourrit, polit et empêche le bois de s'assécher. Ne contient pas de silicone. Résiste aux traces de doigt et d'humidité. Vendeur Professionnel. Fort pouvoir lustrant et résistant. MPN: LIBBPUR200G. Fait disparaître les traces et les rayures. Liberon Superior Danish Oil is a blend of pure tung oil and natural oils which feeds and protects hard and soft woods. With added UV filters to help prevent discolouration from the sun, this oil is suitable for both interior and exterior use. Leaves a thin invisible film on the surface. An un-opened item. The container and sealing cap has not been compromised. Pour obtenir un effet cérusé. Code EAN: 3282390000281. Vendeur Professionnel. Finissant bientôt. Souligne les veines du bois. Le bois réparé au durcisseur peut ensuite être cloué, vissé, poncé. Pour reconstituer des morceaux de bois manquant, utilisez le Reconstituant Bois. Sur tous types de bois, remis à nu. Important : Travailler sur un bois brut. LIBERON Cire d'abeille bois liquide - protège le bois de l'eau et des tâches -Nourrit le bois, Incolore, 500mL. Lessivable pour la version liquide. Compatible avec tous types de cires. Ne colle pas. Vendeur Professionnel. De nombreuses couleurs disponibles. Facile à utiliser. TEINTE "se céruse avec les cires". Principe : 1 couche de TEINTE, puis 1 couche de CIRE TEINTÉE. expédition par MONDIAL RELAY : 3.85 eur. nettoyage à l'eau. 125 ml neuf. Détails: Liberon vous propose : Cire blanche a ceruser liberon 250ml, dans la catégorie cires pâtes (Poids : 0.95). Éditeur: LIBERON. Couleur: Blanc. Pour obtenir un effet cérusé. EAN: 3282390000281. Couleur:Chêne moyen. Code EAN: 3282390070413. Vendeur Professionnel. Finissant bientôt. Teintes miscibles entre elles. Liberon Pure Tung Oil is highly resistant to water, alcohol and food acids. Size: 250ml. Usage Instructions: Preparation: Ensure the wood surface is bare: remove any wax finishes with Liberon Wax and Polish Remover and any varnish finishes with Liberon Fine Wood Stripper. Preparation Interior woodwork : Ensure the surface is bare: remove any wax finishes with Liberon Wax and Polish Remover and any varnish finishes with Liberon Fine Wood Stripper. Clean, dry and ensure the surface is dust free. Usage Instructions: Preparation: Ensure the surface is clean, dry and bare, removing any previous finishes with LIberon Wax and Polish Remover or Liberon Fine Wood Stripper. If the wood is to be died or stained, this must be completed prior to the application of Liberon Easy French Polish. Liberon Gilt Cream is an easy to apply gilt finish for restoring old gilding work and for giving a gilt finish to new surfaces. Easy to use Colour: Versailles. Preparation: Seal porous surfaces, such as woods and plaster, with Liberon Fontenay Base before applying Liberon Gilt Cream. 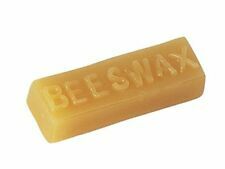 Liberon beeswax paste nourishes absorbent wood such as unsealed pine and oak. Its natural formula protects wood and guards against dryness. Particulary suited to furniture and small surfaces,interior use only. Liberon Gilt Cream is an easy to apply gilt finish for restoring old gilding work and for giving a gilt finish to new surfaces. Easy to use Colour: Trianon. Preparation: Seal porous surfaces, such as woods and plaster, with Liberon Fontenay Base before applying Liberon Gilt Cream. Usage Instructions: Preparation: Interior woodwork : Ensure the surface is bare: remove any wax finishes with Liberon Wax and Polish Remover and any varnish finishes with Liberon Fine Wood Stripper. Clean, dry and ensure the surface is dust free. Usage Instructions: Preparation: Ensure the surface is bare: remove any wax finishes with Liberon Wax and Polish Remover and any varnish finishes with Liberon Fine Wood Stripper. Clean, dry and ensure the surface is dust free. Usage Instructions: Preparation: Seal porous surfaces, such as woods and plaster, before applying Liberon Gilt Cream. Application: Apply Liberon Gilt Cream to the surface with a cotton cloth or small brush for intricate areas. Usage Instructions: Preparation: Seal porous surfaces, such as woods and plaster, with Liberon Fontenay Base before applying Liberon Gilt Cream. Application: Apply Liberon Gilt Cream to the surface with a cotton cloth or small brush for intricate areas. Stir occasionally to help the Liberon Blonde Dewaxed Shellac Flakes to dissolve more easily. Liberon Black Bison Fine Paste Wax is ideal for nourishing and protecting all types of wood, including lacquers and French polishes. Liberon Bison Paste Wax is traditionally used on antiques but is also suitable for use on modern furniture and will enhance the natural beauty of wood whilst protecting it against dryness. It is ideal for ageing modern furniture and disguising repairs to old and new furniture. It can also be used for adding a coloured finish or highlighting areas on finished pieces such as carvings.Performance- Special effects wax. Liberon Gilt Cream is an easy to apply gilt finish for restoring old gilding work and for giving a gilt finish to new surfaces. Easy to use Colour: Compeigne. Preparation: Seal porous surfaces, such as woods and plaster, with Liberon Fontenay Base before applying Liberon Gilt Cream. Liberon Wax Filler Sticks are available in a wide range of wood colours. Press into the crack or hole using a Liberon Plastic Scraper or other suitable tool. Level down with the scraper and buff off the excess with a cloth. Liberon Homing Oil is specially formulated to clean and lubricate the oilstone while sharpening tools. Lubricant for tool sharpening on oilstones. Cleans dirty stones. Usage : Interior. Size: 250ml. Liberon Garnet French Polish is a dark brown stained French Polish that is suitable for dark woods. High quality French Polish. Darkens wood to create an aged effect. Ideal for use in antique restoration. Liberon Special Effects Wax is a multi-purpose colour wax giving green hues of oxidised copper and brass. It gives green hues of oxidised copper and brass and can be worked into moulding, bronzes, papier maché, alabaster and carvings. Liberon Black Polish is a black stained French Polish that is suitable for ebonising. Liberon Gilt Cream is an easy to apply gilt finish for restoring old gilding work and for giving a gilt finish to new surfaces. Easy to use Colour: St Germain. Preparation: Seal porous surfaces, such as woods and plaster, with Liberon Fontenay Base before applying Liberon Gilt Cream. Once dry seal the wax with Liberon White Polish. To remove large areas of Special Effect Wax use Liberon Black Bison Wax Neutral or Liberon Finishing Oil on a lint-free cloth or steel wool. 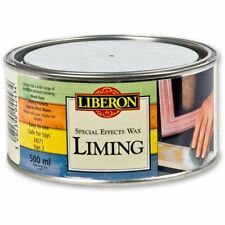 Liberon Special Effects Wax is used for adding a coloured finish, or highlighting areas on carved pieces. Liberon Anti-slip Coating assures a non-slip surface on very smooth and humid interior and exterior flooring. Liberon Anti-slip Coating is ideal for use on smooth and slippery flooring, or in areas of high humidity such as patios, decking, utility rooms and swimming pools. It seals the surface so that less wax is needed and its special lubricants ease sanding. Ideal for sealing wood before waxing Suitable for use on all types of new or stripped furniture; including MDF Brush or cloth applied Ideal for use on turned woodwork 250ml. Usage Instructions: Preparation: Sand the wood if required and remove all previous finishes. If you want to colour the wood you can apply Liberon Palette Wood Dye to the timber before varnishing. Alternatively Liberon Palette Wood Dye may be added to the varnish to create unique colour tones. Usage Instructions: How to use: Shake well before use. Apply a generous coat of Liberon Fine Wood Stripper using a brush. Allow the stripper to work for 5 30 minutes. Remove dissolved finish using a Liberon Plastic Scraper or Steel Wool Grade 2/0 for carved areas.